This fragrant Christmas Wreath is composed of 3 lbs. of preserved sage and red eucalyptus and measures 24 inches in diameter and 5-6 inches thick. Indoors this wreath will last for years (clients have told me 10 years) and outdoors if placed out of sun, rain AND humidity it will last for years as well. 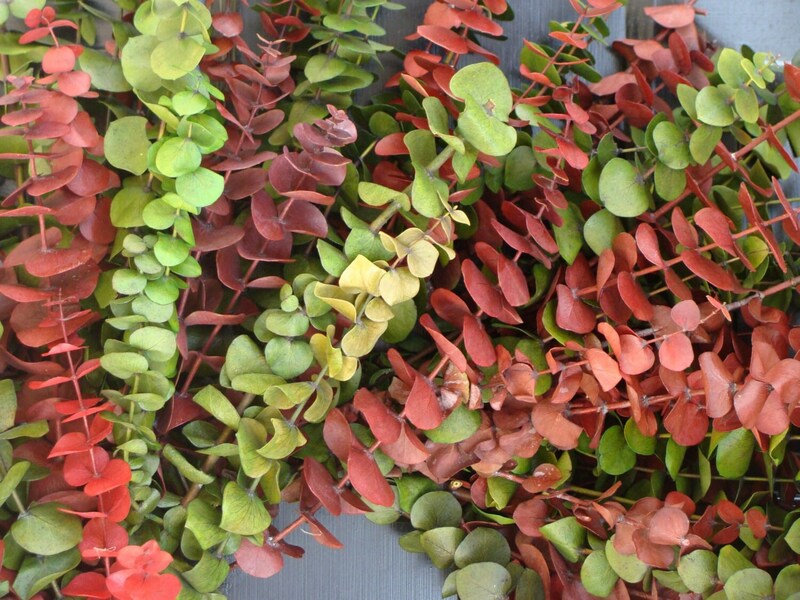 My eucalyptus is the best in the US and is premium grade- washed, dyed, and preserved from tip to stem! A wonderful green product from the USA. I have this eucalyptus freshly made, in a bright custom color scheme so you can't find this quality of eucalyptus in any retail store. The only word to decribe it is gorgeous! 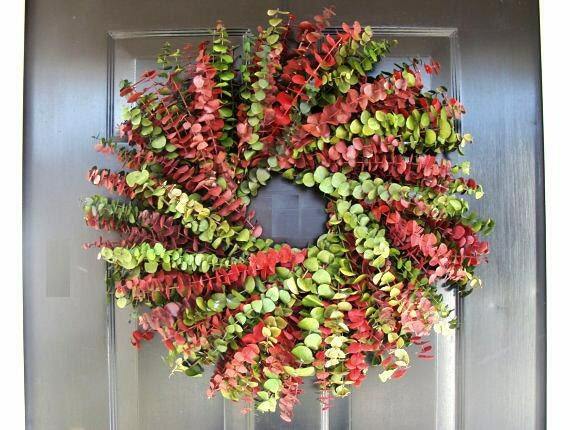 This wreath is a perfect Holiday decoration or Christmas gift that you can actually leave up all winter! 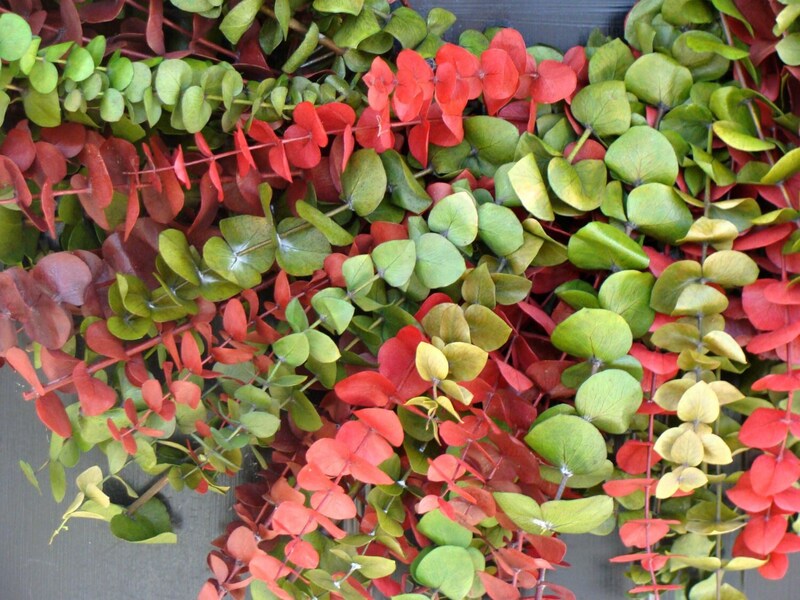 If these colors go with your decor you might have just found a wreath you can leave up all year. 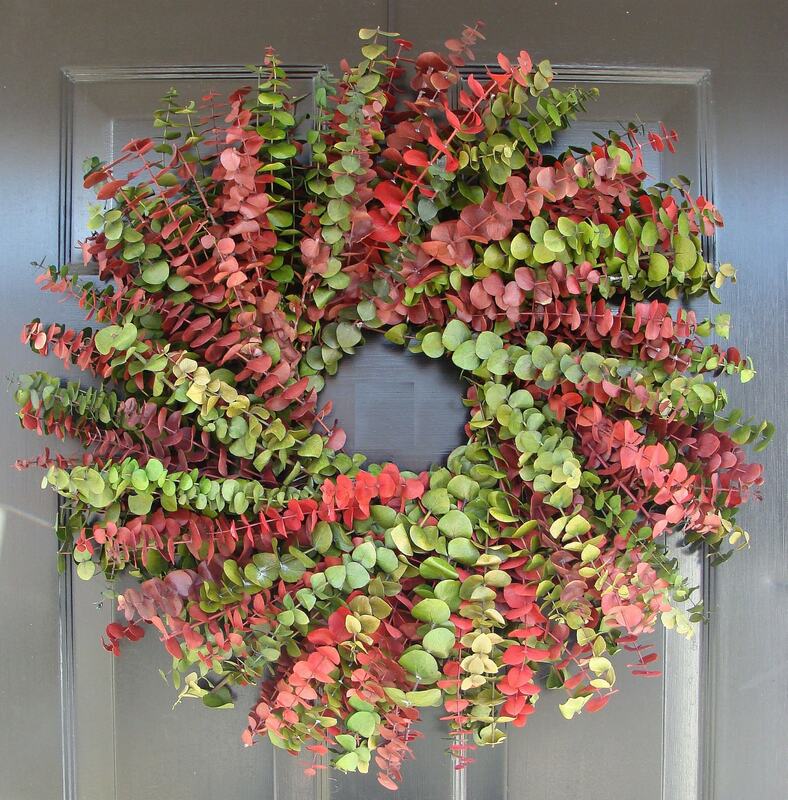 **** Please note- Eucalyptus is for INDOOR use or outdoors in NON-HUMID areas however during the winter season this wreath sometimes be used outdoors because the climate is drier. 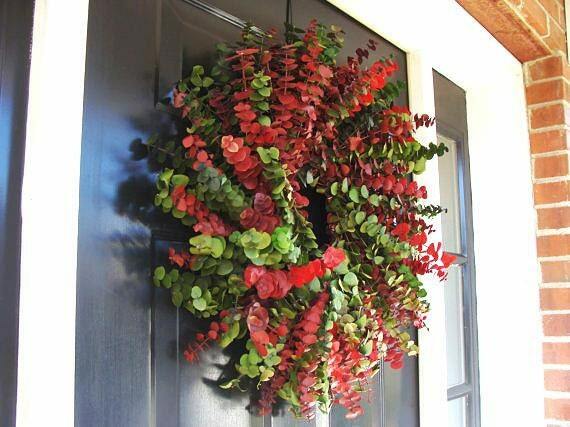 If it ever is going to rain in winter just take the wreath inside overnight. Indoors this wreath is great for a mantle, dining room, any wall or door and since the smell is amazing so why not put it indoors so that you can enjoy the natural fragrance? My wreaths are made fresh upon ordering so please allow 2 days in addition to shipping time. Just store in a bag or box in a cool dry place (basement or closet) if necessary. Dust it with a swifer duster or vacuum and refresh the smell by putting it in the direct sun for 10-15 minutes. See my shop (www.elegantwreat.ethsy.com) for many other beautiful, quality, handmade wreaths! Any wreath will make a great gift for a loved one or friend so you can always get two and save on shipping or have your gift shipped directly. Custom wreaths are always available so just convo me for options. Wreaths are always shipped via fast, insured UPS service. I love my customers and always strive to provide a quality wreath for a great price! This wreath absolutely made our office and smells wonderful! This wreath is beautiful and smells wondrful. I absolutely love it!